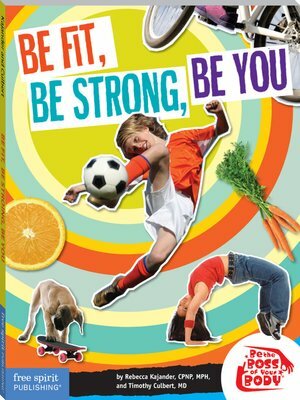 Tweens learn effective, easy-to-use skills to take control of their fitness and diet and develop healthy self-esteem. Whether they are underweight, overweight, or just the right weight, this book shows kids how to take a positive, holistic approach to their health and be the boss of their own wellness. Specific tips on eating, exercise, and self-esteem include planning meals and healthy on-the-go snacks, food journaling, building exercise into the day, and using affirmations. These are accompanied by complementary healthcare skills such as belly breathing, positive imagery, aromatherapy, acupressure, and yoga. Kids learn how their body, mind, and spirit are connected and work together to make a whole, healthy self. An exciting addition to the award-winning Be the Boss of Your Body® series.